Ha ha..I crack myself up sometimes! 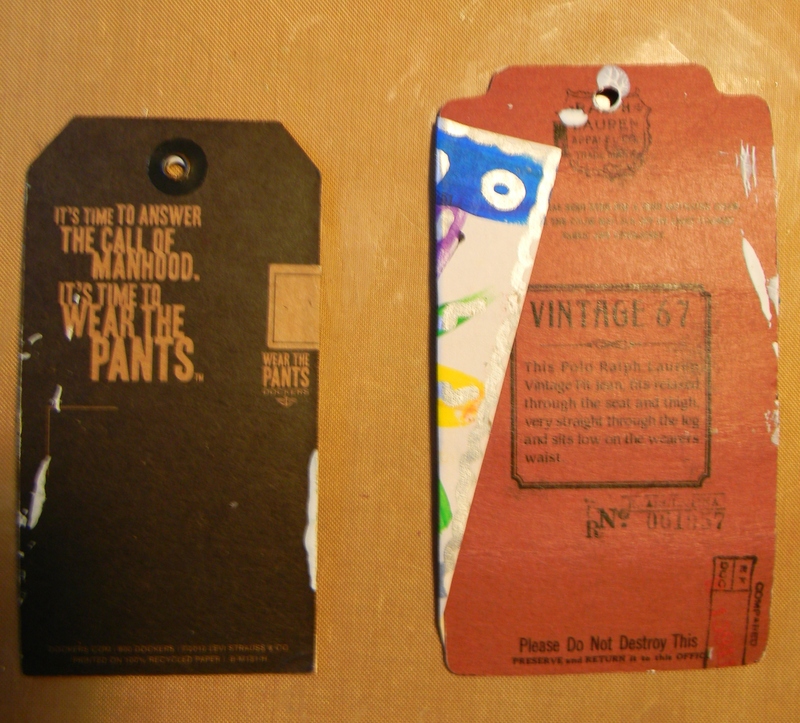 I love to decorate clothing tags to use on other things. Not all of them–certain ones that have just the right weight and size or if they have a cool texture or a cool graphic. Apparently I’m more discerning about tags than I realized! 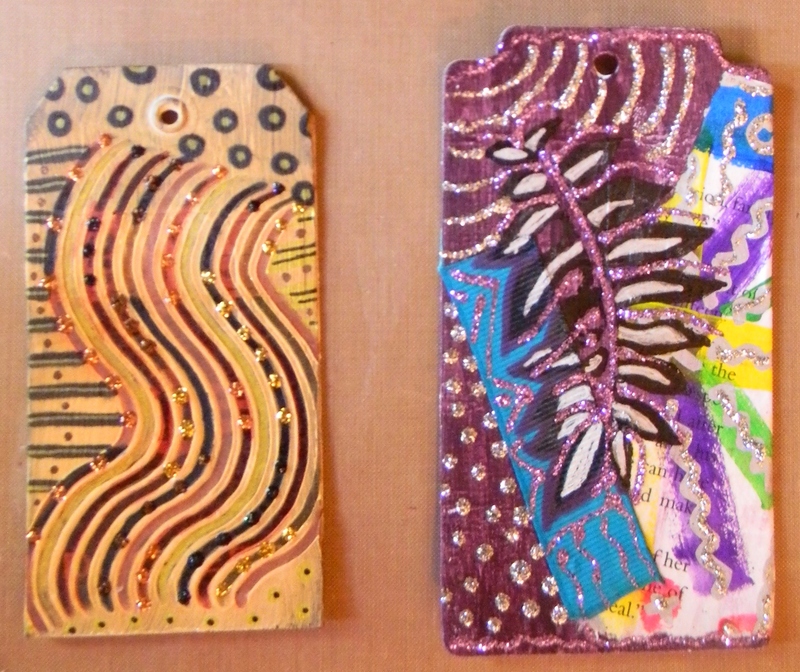 Anyway here are a couple I made last week. Coated with gesso then drug a bit of texture into it. 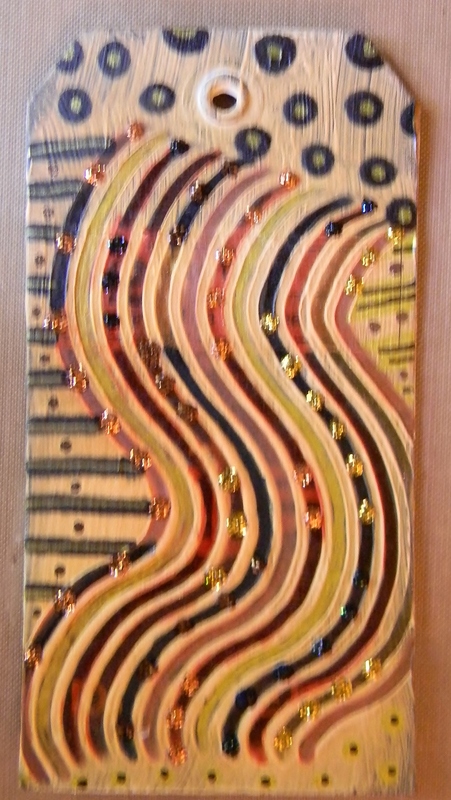 After that painted with acrylic, went to town with paint pens and Stickles! 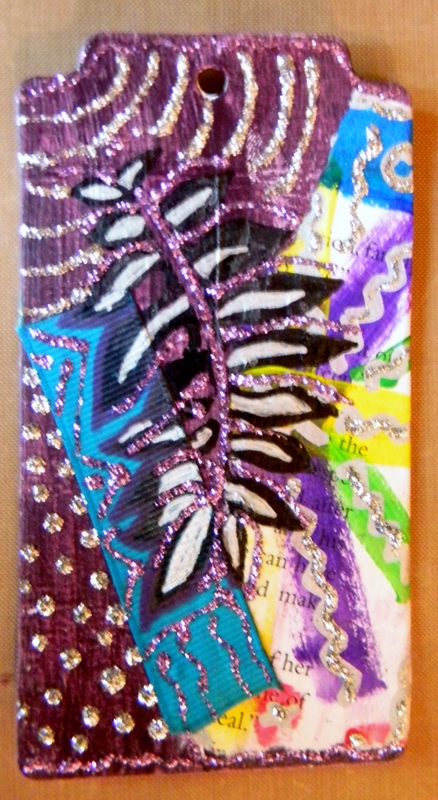 and repeat…gesso, acrylic paint, stamped image enhanced by paint pens and stickles and another scrap of the fancy schmancy painted paper!